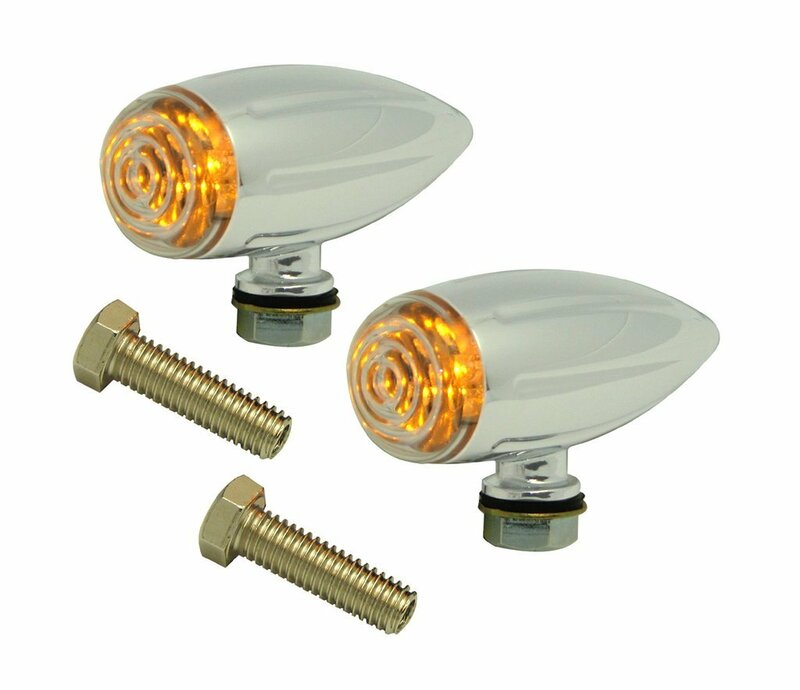 Super-popular Bullet Marker Lights are now available in LED style! 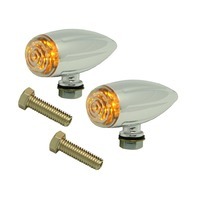 Easy to install, Chrome Bullet Marker lights can be used in a wide variety of applications. Works great on Harley-Davidson, Metric Cruiser, ATVs, Hot Rods, and other applications. These marker lights measure 3" long. Height is 1-1/2" from top of light to bottom of mounting base. 2 sets of 3/8-16 mounting bolts included: 5/8" long and 1.250" long. Recommended for use as turn signals only. Cannot be used as running lights. Lenses are clear with Amber LEDs. They Measure 3" Long, Height is 1-1/2"